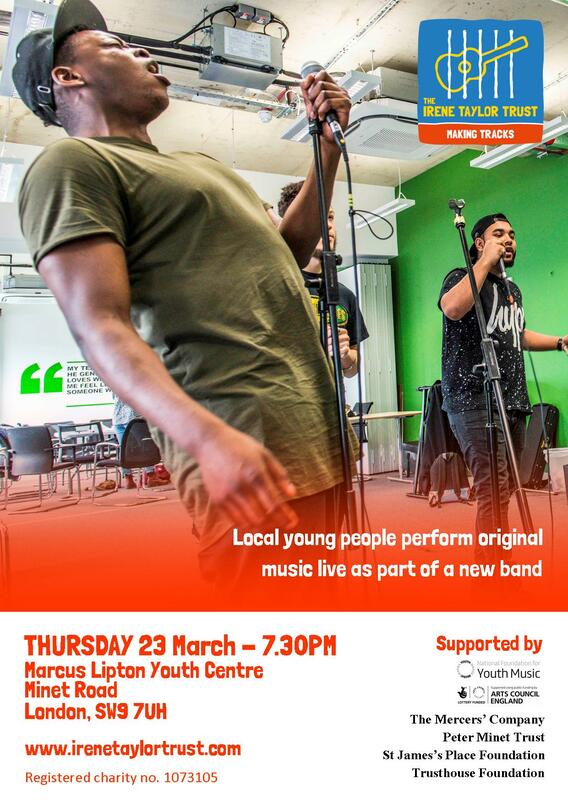 We’re very excited to be back in Newham, East London, this week, working with a group of young people towards their first live performance as a new band on Thursday! 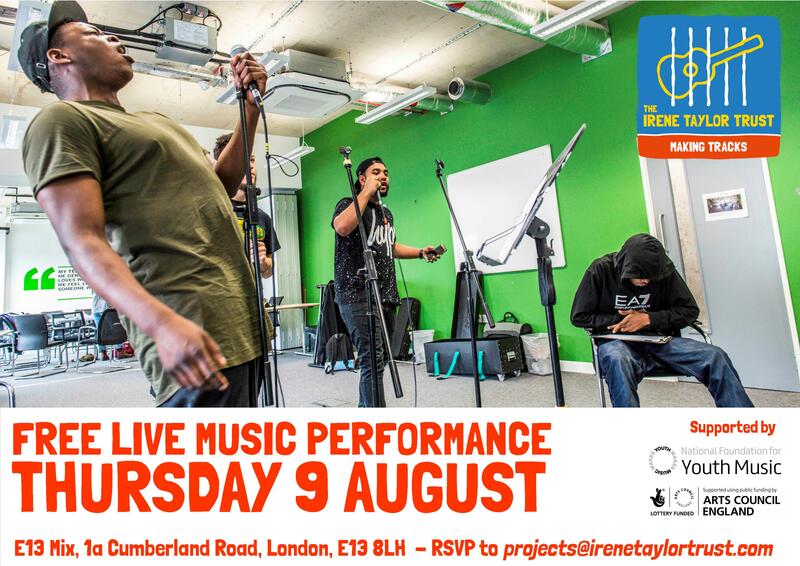 RSVP to projects@irenetaylortrust.com to attend. Last night’s gig was fantastic! The Super-band made up of Lou-marie, Muqzz, Ola, RT, Emma, Tru-Star, Gary, Ian and Chris performed 4 super new tracks, ‘Silent but Deadly‘, ‘I Don’t Wanna Hear It‘, ‘Mental Machine Gunner‘, and ‘Stars‘. We were also treated to amazing spoken word pieces by RT & King Ahmed, as well as an explosive solo set by Pedro. Congratulations to everyone who performed! 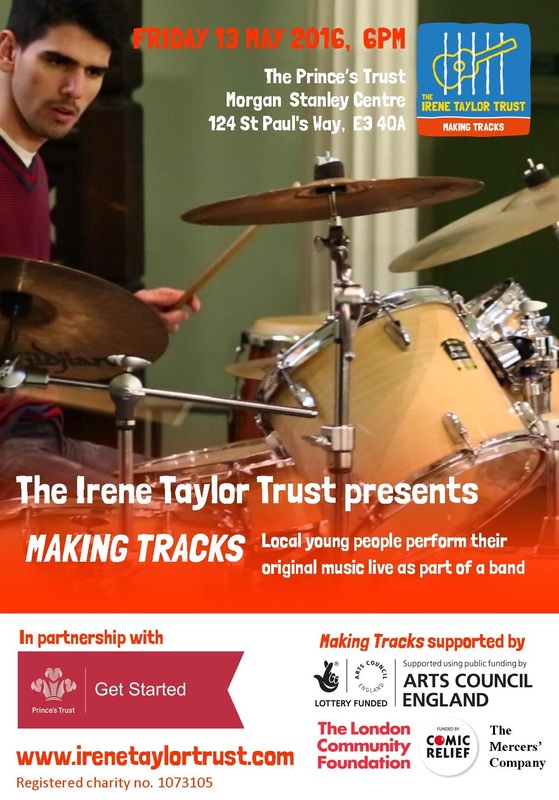 Join us next month as we take our Making Tracks programme back to South London, working in partnership with the Community Trust for the first time. This project is possible thanks to support from the National Foundation for Youth Music, the Walcot Foundation, the Mercers’ Company Charity, St James’s Place Foundation and the Trusthouse Charitable Foundation. 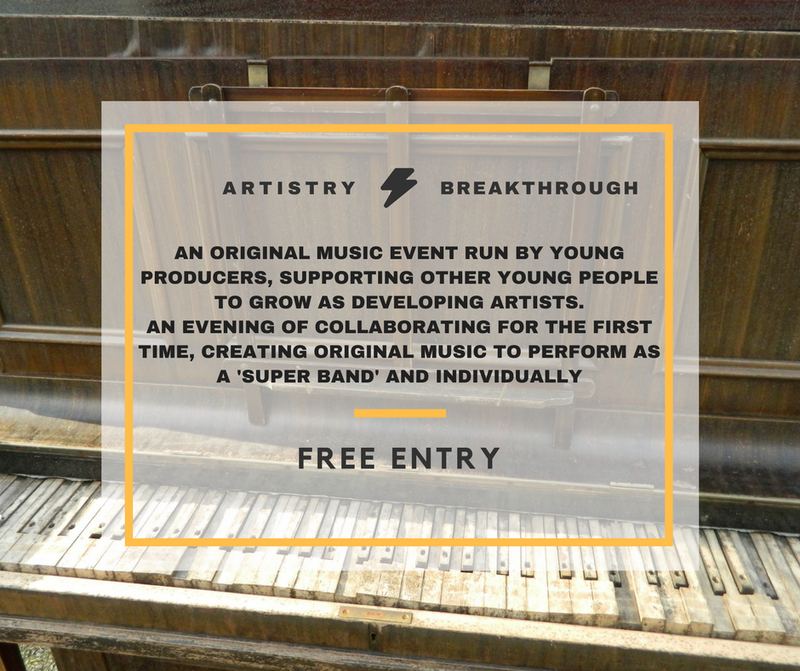 We’d love for you to join us to enjoy a performance of original music, written and played by the young people, on Thursday 6th April at 5.30pm.